Makenzie decided last night she was going to have a World War 3 kind of tantrum at bedtime. Nothing other then leaving her bedroom calmed the sobbing so we hung out on the couch for a little while before I took her back up to her bed, laid her down, covered her up, and walked out of the room. She has been fast asleep since! So this morning I got to play with pictures all by myself. Yippy! So if you missed last nights post check it out as I am doing Fix it Friday a bit early today! Makenzie again has been feeling and doing so well. Over the last few weeks we have tried changing up her therapy schedule a bit. We have added an extended PT session one day during the week. Also her OT changed her schedule a bit to make an OT session back up with a PT session. This give Makenzie two straight hours of therapy two days a a week. I am love with and beyond grateful for my therapist's commitment to Makenzie as this extra time is not billable. The thing is, it takes a while to prep a body that is so tight. By the time Makenzie is all loosened up and ready to work on functional activities the hour is up and it is time for her therapist to move on. Having two hours also gives us time to get the Neuro suit on Makenzie more consistently. Makenzie has become much more accepting of the Neuro Suit since two summers ago when we did our intensive at NAPA. She is so much less sensory overloaded and looks so great in her suit! I am so proud of my girl and how much she has grown! We will continue to try this new schedule utilizing the Neuro Suit more for the next few months. Makenzie's PT and I are both in agreement that it is time for another three week round of IMOT. I will allow God to open those doors but with all of the house stuff going on and summer coming up it may have to wait until schools starts again after summer break. God's timing is perfect and I will leave it a that! I am off to tuck my four munchkins into bed and catch some Thursday night TV. I have felt so drained the last 3 days. I am pretty sure it has something to do with all of the hard work I have done with the house over the last 3 weeks. So tonight I am going to try and get some extra rest and try to catch up again so I feel more present. A while ago I met an amazing woman by the name of Robin. She hung out on my blog and facebook page cheering Makenzie on. Her comments were so kind and uplifting. Robin is an incredibly successful woman who has lived with CP since birth. This wonderful woman has taken my breath away, she has given me so much hope for Makenzie's future, so I asked if she would share her amazing journey with all of you! In 1960 my dad was in the US Navy he was stationed in San Diego, California. As he was boarding his ship to go out to sea someone ran up and told him that his wife, my Mom was in labor. He ran off the ship and ran right to the Naval hospital. My Mother’s labor pains came on very, very quickly, so quickly she didn’t make it to the delivery room she gave birth to me in the hospitals hallway!! She was in Labor for only 5 minutes!! This was in October and I was supposed to be born in December. The fact that I was 2 months premature and that I came out so quickly I stopped breathing for a few minutes and that’s what caused my Cerebral Palsy. I have spastic/hemiplegic CP meaning I don’t have the use of my right side and my muscles are spastic and stiff and I use a wheelchair to get around. My parents didn’t learn about my CP until I was about 9 months old when I wasn’t doing normal things that a 9 month old does plus I was having lots of seizures. My parents were very young in their late teens, scared to death and not knowing what to expect, they were kids themselves. After my Dad finished is duty in the Navy we headed back East to Pennsylvania. When I was preschool age I went to a preschool through the Easter Seals Society in our area. Through Easter Seals my parents received counseling to learn how to deal with my disability. Someone at the Easter Seals told about a residential school for CP kids that they thought would help me tremendously and I would receive intensive PT, OT and SLP 3 to 4 hours a day 5 days a week. I went there at 5yrs old until I was 8 yrs old. I couldn’t do a thing for myself like dress or feed myself. I also didn’t have the ability to sit, crawl or walk. When my parents dropped me off the school told my parents its best if they didn’t return for a month so that I would adjust to being there. Upon their return to visit me they had me walk down the hall to my parents! My mom told me she cried like a baby to see me walking. I can remember very clearly I hated PT I would cry and cry and cry, but you know what, to this day I am so grateful they pushed me and wouldn’t let my bawling stop them. So any parents reading this with young kids who hate getting therapies it will pay off in many rewards never under estimate your angels they will surprise you in many ways like I surprised my parents. Through the years things have changed for the better for kids and adults with disabilities. Back in the 60’s and 70’s we didn’t have handicapped parking, ramps going into buildings, accessible restrooms with grab bars, and most importantly the ADA laws plus we didn’t realize things could be better and we dealt with not having the things listed above, it was like oh, OK I can’t go in there because there’s steps. As we reached the 80’s, and 90’s I felt as though WOW all this for me?? LOL Now if I see a building not accessible it makes me mad and frustrated, it’s like come on people catch up with the times!! In closing I want to say I’m 50 yrs old with CP living a happy, healthy life and with the supports from family, friends and God I’ll go far. Everyday I think what new adventure can I get into now, who can I help in return of having so many people help me over the years!! God Bless and thank you for letting me take the time to share my life with whoever sees this!! Thank you so much for sharing! You are one strong and amazing woman!!! Is It Reality TV.... Or Just Reality? I just got done watching this weeks episode of teen mom. I cried. There is a young mom on the show who had twins. Over the last several episodes they have shown the developmental delays of one of her little girls. In tonight's episode she took her little girl to the eye doctor who proceeded to tell her what most of the special needs community probably could have told her long ago..... the issue is in her brain. They ended the episode with her talking to her mom, tears fell as she sobbed. It broke my heart in two. I do not think any one is ever prepared to be told something is wrong with their child but I am not sure I could have handled that news at such a young age! I just want to give this young mother a huge hug. I want to tell her she is not alone. I want to tell her everything will be ok even if everything is not ok. I know it is just TV but this mom's pain is so real. It is just as real as the rest of us who are not on a MTV reality show. She is on the journey of her life. Makenzie did great in PT and OT today. She ate very well and did a great job getting her shoulders back with some good weight bearing.I have scheduled phenol injections on March 3rd. Please start praying that the procedure goes well and it helps her hips a ton. Even though we have done this before I am a nervous wreck. She will have to be put under for the injection and that in itself makes me want to crawl out of my skin! Pray! The market analysis came back on my house today and it looks much better then I thought it would. Now it is time to decide what the best options are for this move. Tomorrow the boys go back to school, Makenzie has 2 hours of therapy and hopefully, I will be able to run some errands. I am tired. I am emotionally overwhelmed with everything that is going on but I feel so blessed. It is a good thing! I spent most of the day cooking 12 pounds of meat for Makenzie's formula. I have so much to say but right now I am just too tired! We did have a great day. Makenzie was quite vocal and very demanding today. She wanted to be outside, she wanted mommy to hold her, she didn't want to go to bed........ I still love it! People keep telling me that I will get sick of her "tantrums" but it has yet to happen! I am not sure I ever will! What I do know is that I am tired of being tired so I am going to head to bed! It is Fix it Friday over at iheartfaces. I had a ton of fun with this one! I am exhausted. Makenzie is eating dinner, the boys are doing their homework and tonight bed time could not come soon enough! Today with the huge help of my mom we got the house clean..... like really clean. Tomorrow the real estate agent will come and then I will have some more decisions to make. I am so grateful for the support of my family in this process. Makenzie also had so really great therapy today. Her PT put the Neuro Suit on again. Makenzie looks so good in it and everything she did yesterday seemed to carry over into today! Her shoulders are nice and loose. She is doing a wonderful job with weight bearing in all areas and over all really making huge strides! I am so very proud of how hard Makenzie is working in therapy! When her OT came she decided to see if yesterdays stair sitting could be repeated. After she put the arm attachments for the suit onto Makenzie they were off to give it a try! Sure enough Makenzie did it again with less coaxing and she even was able to lean back and put weight into her elbows! Then it was time for some constructive play in sitting. Makenzie thought it was great fun to throw herself forward and backwards so Steph made a game out of it. The rules were that Makenzie had to bear weight forward into her hands before she could throw herself back. Makenzie however is five and soon decided it was more fun to break the rules! However, she did a great job balancing on her therapists lap and even sat all by herself several times! Makenzie worked really hard today but also had a ton of fun. She did a great job walking in her walker this afternoon and now is sitting her yawning away. Her dinner is done, the boys need prompting to get into the shower and then it is off to bed for the whole lot! Please pray for a good meeting tomorrow. Pray that we get the best advise possible and that God would direct the decisions that need to me made on going forward with this process of moving! I am so excited but the reality of having to leave this house and pack up 4 kids and 10 years of our life is starting to set in! I am ready! It will be a lot of work but in the end it will be so worth it! The timing and details are all in God's perfect timing! We just got home from my sons second "stringathon". He has been playing the violin in the orchestra at his school for the last two years and I am so proud of him for sticking with it. He has become quite the violinist! As I sat in the gym with Makenzie in my lap waiting for the concert to start I was awe struck by how different this year was. She loved all of the sights and sounds. She took it all in and the late night was no big deal at all. A year ago it was really tough. She was so tired and the gym full of people set her into sensory over load. I am so very happy with where we are today! I was able to enjoy every note without the stress of the environment and her exhaustion! Blessed healing! Today Makenzie and I hung at home. She had two hours of PT and we broke out the Neuro suit again for the first time in a really long time. Makenzie did amazing! Her therapist used a bench, box, toy, the steps and the cat to entertain Makenzie while they worked on sitting. Makenzie shifted weight through her hips with ease and even put her hands down to the side to catch herself several times. Then they moved into half kneel. Makenzie's therapist has asked me to do this with her at least once a day. After several attempts I have been able to coax her into it on one side but not the other but her PT makes it look so very easy! 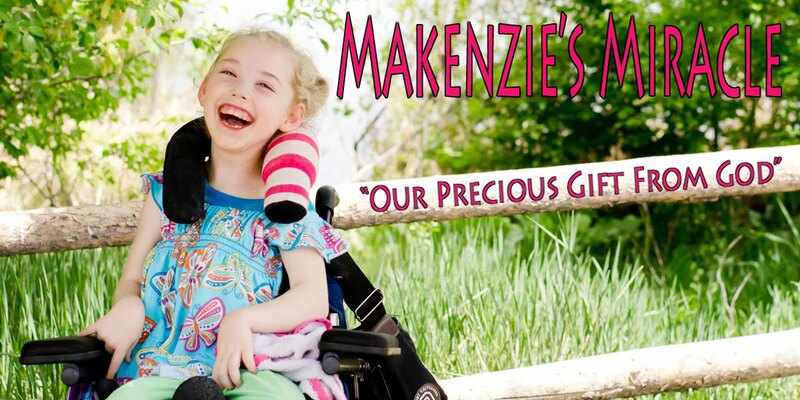 Maybe this request was a trick to make me appreciate what she does for Makenzie more. LOL! All in all it was a really wonderful day. Tomorrow we have several appointments as well as a full deep clean of the house in order to get ready for our appointment with the real estate agent on Friday morning. We have made some astonishing headway in readying the house to show and also in finding a home that will be perfect for my whole family! I am so, so, so, so, very excited! I want to say a huge thank you to each and everyone that has played a part in this process! God has been so faithful! Tonight I had the pleasure of guest posting on Family Network TV. Head on over to check out my post and their wonderful site packed with many resources for the special needs family! The theme for this weeks photo challenge over at iheartfaces was Red. Watching the boys try to catch balloons while the wind was blowing was really quite entertaining! When we were done I filled Makenzie's ball pit with them and let her play away! She thought it was great fun to hit and kick all of the balloons off of her! Trying to fit pictures into a "theme" has been a challenge for my no so creative mind but I am learning so much! I love the sugary kisses I get after school is through. I love the smiles that spread across my childre's faces while we talk about school parties. I love taking a nap on the couch curled up next to my princess. I love the sweet little handmade cards my children give me telling me how loved I am. I love Makenzie's way of expressing her love for me by fussing every time I try to leave her side and also the way she does the same when her brothers walk away. I love just being at home on a night when many are out busy being "romantic". I love tucking my kids into bed and crossing my fingers, hoping the sugar crash happens sooner then later. I love ordering Pizza once my house is quiet.... just for me. I love sitting by the door, waiting for the said pizza, in hopes I can keep the delivery man from ringing the door bell. This will surely wake up the boys and I do not want to share when they come down like little vultures wanting some of MY Valentine's Day dinner! They can have leftovers in the morning! I love Valentine's day.....just me and the four best little Valentine's this world has to offer! This morning when I got up I had the best intentions of getting out the door in time for church. I went upstairs and plugged in my rollers, got out makeup and decided to start going through the stuff in my room. Oops. Ok, then I decided it didn't matter if I went to church beautiful so I got dressed, called my son who had been at a sleep over to tell him to head home, and then I waited, and waited, and waited, and waited some more. Long story shot we did not make it out the door. Up the stairs her wheelchair went. Now that was fun! All of my kids did an amazing job with their rooms. There was only a small amount of arguing about what stayed and what was just plain old hoarding. I mean really keeping stuff you did in 2nd grade ..... three years ago does not need to be kept.... does it? I am DONE cleaning out EVERY SINGLE room in my house. Now a good scrub down is in order before I call the real estate agent to come take a look. I am really having a lot of fun with this. Having a home that is about 2 tons lighter, looks bigger, and isn't half as hard to pick up is turning out to be a great change. I think I might stay..... ok, that was my thought until I had to carry the chair up the stairs.... gotta move, still going, back is breaking.... self talk....over. For a treat for all of the hard work we headed to the park. It was over sixty degrees here today and getting out of the house was much needed! Makenzie was super excited to be outside. The boys took off and ran a ton of bottled up energy out while mommy snapped pictures. It was so nice to be outside again after the last week or so of cold and snow. There were huge piles of snow that the boys could not resist. They ran up them, rolled down them, and then they found a spot to launch of off into them. Makenzie thought the whole thing was very entertaining! As we walked back to the car the boys all slowed down to walk with their sister. Even though I took this same picture the last time I couldn't resist because this time ALL of my kids were there, at the park, walking to the car while I strolled behind taking it all in! A family friend dropped by this evening with Valentines for the whole family, ending an already wonderful day a little bit more amazing! Tomorrow is Monday again. Back to the grind with a little bit extra sugar!